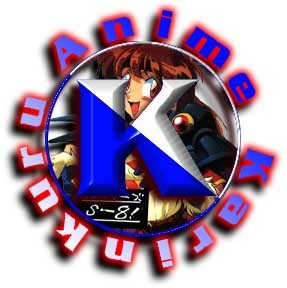 Karinkuru Anime was established in January of 1998 by a group of anime fans. As fansubbers, we are committed to the effort to promote the art of Japanese animation in the United States by providing free of charge translations, timed scripts, and videotapes. Thanks for stopping by, and as always, feel free to leave us E-Mail! Key the Metal Idol 12-15 - Finally got around to posting the rest of this great series. I had wanted to redo the whole thing before posting it, but that won't happen so here ya go. There's a lot of frame-accurate timing here so hopefully you won't have to ramp or retime this sucker. Back in Business! - We're BAAAAAAAAACK!!!! As promised, I've updated the pages so they're not quite so hideous. Yes, the images have the same background as the rest of the page now, for starters. New Videos! - Finally got a new Music Video done, it's Yuko Yamaguchi's song, "Believe" to Shin Kimagure Orange Road. It will hopefully be shown at the Katsucon video contest this year! New Screencaps - Mamotte Shugogetten! sample subtitle shots (say that 10 times fast!) are available here! Take a look at what Karinkuru subtitles are supposed to look like, then grab our font pack from the Projects page! 12/03/00 - New Music Video Completed! 04/03/00 - Check out or new Distributors on the Distribution page! 04/03/00 - Mamotte Shugogetten! eps 5-8 are going to distro TODAY! 03/23/00 - Tonari no Totoro Scripts Available! 02/16/00 - Mamotte Shugogetten! 1-4 Scripts Available! 02/16/00 - Updated Macross DYRL Scripts Available! 02/16/00 - Laputa, Castle of the Sky Script Available! 08/22/99 - A Beginners Guide to Subtitling written by Karinkuru Anime is now available! 04/26/99 - Mononoke Hime: The Mummers Dance Music Video Won Best Technical Award at Anime Central! !